Malian artists and legendary Songhaï folk musician Sidi Touré led Gao’s regional orchestra, The Songhaï Stars, before going out on his own. He just released new album, Toubalbero, via Thrill Jockey and you can stream the whole thing below. Sidi Touré kicks of a U.S. tour this weekend as part of The World Music Institute’s “Festival of Mali” that happens this weekend at NYC’s Brooklyn Bowl from April 14-16, and brings together some of the greats from one of Africa’s most musically rich countries. Touré plays the first night, Saturday, April 14 with Chop and Quench feat. Domenica of Underground System. Dates also include a show at Hudson, NY’s Half Moon Hudson on April 16 (more info). All dates are listed below. 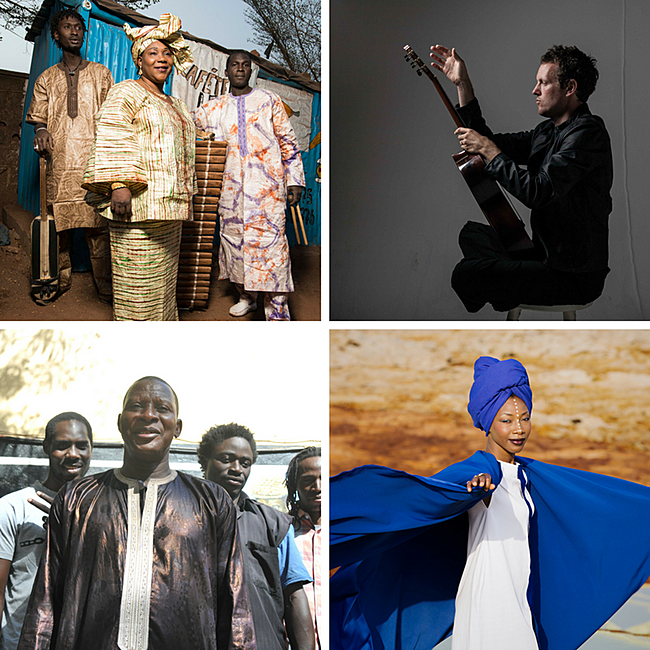 As for the rest of Festival of Mali: traditional griot musicians Trio Da Kali (who released an album with Kronos Quartet last year) and classical guitarist Derek Gripper on Sunday, April 15; and singer-songwriter Fatoumata Diawara on Monday, April 16 with Kaleta & Super Yamba Band. (Toumani Diabaté & Sidiki Diabaté were to have played on April 13 but had to cancel). Three-night passes and individual tickets are on sale now. Watch videos of the Festival of Mali headliners below. If you need more Malian music, Amadou & Mariam are touring around Bonnaroo.